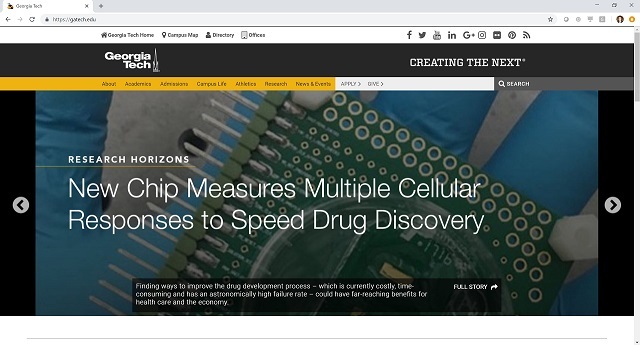 We are interested in developing integrated circuits and hybrid micro-systems to address multiple high-impact application spaces, including wireless communication, radar, and health care research. David has been awarded the 2019 National Defense Science and Engineering Graduate (NDSEG) Fellowship. Our paper entitled "An Ultra-Wideband Edge-Fed Octagonal Four-Arm Archimedean Spiral Antenna" has been accepted for publication at 2019 IEEE International Symposium on Antennas and Propagation and USNC-URSI Radio Science Meeting (AP-S/URSI). Sensen is selected to receive the 2019 IEEE Microwave Theory and Techniques Society (MTT-S) Graduate Fellowship. This award is the highest honor that a Ph.D. student can receive from the IEEE MTT society. Three papers from GEMS group are accepted for publication at the IEEE International Microwave Symposium (IMS) 2019. Five journal papers from GEMS group are accepted for publication at IEEE Journal of Solid-State Circuits (JSSC), IEEE Transactions on Microwave Theory and Techinques (T-MTT), and IEEE Transactions on NanoBioscience (TNB) EMBS special issue. 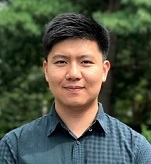 Min-Yu is selected to receive the IEEE Solid-State Circuits Society (SSCS) Predoctoral Achievement Award for 2018-2019. Huy Thong and Edgar are selected as the winners of ISSCC Analog Devices Inc. Outstanding Student Designer Award in 2019. Our paper entitled "A Linear High-Efficiency Millimeter-Wave CMOS Doherty Radiator Leveraging Multi-Feed On-Antenna Active Load-Modulation" has been accepted for publication at IEEE Journal of Solid-State Circuits (JSSC) special issue for ISSCC 2018. This paper is authored by Huy Thong Nguyen, Taiyun Chi, Sensen Li, and Hua Wang. Our paper entitled "A Millimeter-Wave Polarization-Division-Duplex Transceiver Front-End with An On-Chip Multifeed Self-Interference-Canceling Antenna and An All-Passive Reconfigurable Canceler" has been accepted for publication at IEEE Journal of Solid-State Circuits (JSSC) special issue for ISSCC 2018. This paper is authored by Taiyun Chi, Jong Seok Park, Sensen Li, and Hua Wang. Four papers from GEMS group are accepted for publication at the IEEE International Solid-State Circuits Conference (ISSCC) 2019. Congratulations to our GEMS group on this achievement! Our collaborative paper entitled "Interdigitated microelectronic bandage augments hemostasis and clot formation at low applied voltage in vitro and in vivo" is accepted for publication at the Lab on a Chip journal by the Royal Society of Chemistry. Our first public release of Power Amplifiers Performance Survey 2000-present is now online! Please check out our website to download the data set. Our collaborative paper entitled "Multi-parametric cell profiling with CMOS quad-modality cellular interfacing array for label-free fully automated drug screening" is accepted for publication at the Lab on a Chip journal by the Royal Society of Chemistry. Fei Wang and Kyle Xu won the Qualcomm Innovation Fellowship (US) 2018! Edgar has been awarded the inaugural Graduate Student Retaining Inspirational Students in Technology and Engineering (RISE) scholarship. Sanghoon has been awarded the 2018 National Defense Science and Engineering Graduate (NDSEG) Fellowship. Sensen's paper entitled "A 28GHz Packaged Chireix Transmitter with Direct On-Antenna Outphasing Load Modulation Achieving 56%/38% PA Efficiency at Peak/6dB Back-Off Output Power," has been selected as a Best Student Paper Award finalist for the 2018 IEEE Radio Frequency Integrated Circuit Symposium (RFIC)! Two papers from GEMS group have been accepted for publication at the 2018 IEEE Radio Frequency Integrated Circuit Symposium (RFIC)! Four papers from GEMS group are accepted for publication at the IEEE International Solid-State Circuits Conference (ISSCC) 2018. Congratulations to our GEMS group on this achievement! Mr. Kang Yang, an antenna design expert from Speed Wireless Technology, joins GEMS lab as a visitng scholar. Welcome aboard Mr. Yang! Yeo Joon Youn is selected to receive the highly prestigious Kwanjeong Educational Foundation (KEF) that will sponsor his PhD study in GEMS group at Georgia Tech. Congratulations Yeojoon on receiveing this well deserved award! Taiyun, Sensen, and Jongseok's paper entitled "A Multi-Feed Antenna for High-Efficiency On-Antenna Power Combining" has been accepted for publication at IEEE Transactions on Antennas and Propagation (T-AP). Mr. Zhanyi Qian, an antenna design expert from Speed Wireless Technology, joins GEMS lab as a visitng scholar. Welcome aboard Mr. Qian! Dr. Wang is invited to serve as a Technical Program Committee (TPC) member of the RF subcommittee for the IEEE International Solid-State Circuits Conference (ISSCC) in 2018. 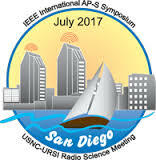 Our invited paper entitled "Addressing the Challenges of 5G Systems: Research at the Georgia Institute of Technology" is accepted for publication at IEEE 2017 IEEE International Symposium on Antennas and Propagation and USNC-URSI Radio Science Meeting (AP-S/URSI). This invited paper is co-authored by Dr. Andrew Peterson, Dr. Hua Wang, Dr. Manos Tentzeris, Dr. Geoffrey Li, and Dr. Ian Akyildiz. Song's paper entitled "A Compact Broadband Mixed-Signal Power Amplifier in Bulk CMOS with Hybrid Class-G and Dynamic Load Trajectory Manipulation" is accepted for publication at IEEE Journal of Solid-State Circuits (JSSC). 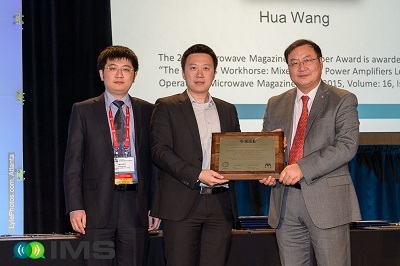 Dr. Wang receives the 2017 Outstanding Young Engineer Award of the IEEE Microwave Theory and Techniques Society (MTT-S). Three papers from GEMS group are accepted for publication at the IEEE Custom Integrated Circuits (CICC) Conference 2017. One paper is nominated for 2017 IEEE CICC Best Student Paper Award! Congratulations on this achievement! Our paper entitled "Live Demonstration: A 1024-Pixel CMOS Multi-Modality Sensing Array for Cell-Based Assays" won the 2016 IEEE SENSORS Conference Best Live Demo Award (2nd Place). This paper is authorized by Jong Seok Park, Moez Karim Aziz, Taiyun Chi, Amy Su, Andrew Zhao, Hee Cheol Cho, Mark Styczynski, and Hua Wang. Congratulations team! Four papers from GEMS group are accepted for publication at the IEEE International Solid-State Circuits Conference (ISSCC) 2017. Congratulations on this achievement! Jongseok and Song's paper entitled "A Highly Linear Dual-Band Mixed-Mode Polar Power Amplifier in CMOS with An Ultra-Compact Output Network" won the IEEE CICC 2015 Best Student Paper Award! The award will be presented to them at the IEEE CICC 2017 that will be held in April 2017 in Austin Texas. Song won the 2016 Roger P. Webb ECE Graduate Research Assistant Excellence Award! This is the highest honor for graduate students at Georgia Tech School of ECE to recognize their outstanding research achievements. 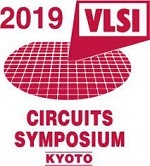 Jongseok and Taiyun's paper on CMOS multi-modality joint sensor/stimulator array has been accepted for publication at 2016 IEEE Symosia on VLSI Technology and Circuits (VLSI)! Taiyun is selected to receive the 2016 IEEE Microwave Theory and Techniques Society (MTT-S) Graduate Fellowship on Medical Applications! Self-Steering Beam-Forming with Zero DC Power Consumption," has been selected as a Best Student Paper Award finalist for the 2016 IEEE Radio Frequency Integrated Circuit Symposium (RFIC)! GEMS group recently has 3 papers accepted for publication at the 2016 IEEE Radio Frequency Integrated Circuit Symposium (RFIC)! GEMS group recently has 5 papers accepted for publication at the 2016 IEEE International Microwave Symposium (IMS)! 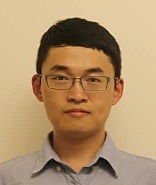 Song won the IEEE Solid-State Circuits Society (SSCS) Predoctoral Achievement Award for 2015-2016. This is the highest honor for PhD students from the IEEE SSCS society. Congratulations Song! Our recent papers have been accepted for publications at the IEEE Journal of Solid-State Circuits (JSSC), IEEE Transactions on Microwave Theory and Techinques (T-MTT), IEEE Transactions on Biomedical Circuits and Systems (TBCAS), and IEEE Microwave and Wireless Component Letter (MWCL). Our recent papers have been accepted for publications at the IEEE Microwave Magazine and upcoming conferences of IEEE IEDM, IEEE BioCAS, IEEE APMC, and IEEE Power Amplifier Topical Symposium. 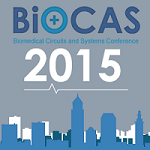 Three GEMS papers have been accepted for publication at IEEE Custom Integrated Circuits Conference (CICC) 2015. Two of them have been nominated for the 2015 IEEE CICC Best Student Paper Award! Prospective students: If you are interested in pursuing your graduate study at Georgia Tech and joining my group, please follow the application process at GT ECE Graduate Studies and indicate your research interest as "Electronic Design and Applications (EDA)". Postdoctoral scholars: Please contact Professor Wang directly.